Tingley Vision Class E High Visibility Breathable Waterproof Pants P23122 will keep you dry and comfortable all year around. Wear them over shorts in the summer and over your cold weather clothes in the wintertime. These hi vis rain pants are made of polyurethane-coated polyester with stitched and taped-sealed seams to keep you dry even in heavy rain. 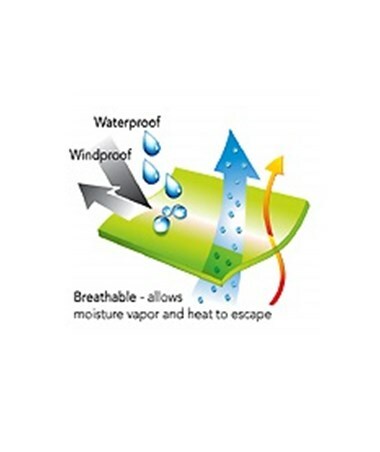 The waterproof coating on the lightweight 150 denier fabric is breathable (permeability tested to ASTM E96), allowing heat and moisture to escape. You'll stay comfortable even when working in warm weather. These breathable rain pants are mildew resistant, as well. These reflective rain pants are ANSI/ISEA 107 Class E compliant. The bright fluorescent yellow-green color makes you stand out in the daytime, while the two 2” reflective stripes on each leg show up well at night. The silver-colored glass bead retroreflective tape is sturdy and long-lasting so your Class E waterproof pants will be keeping you safe on the job for a long time. You'll have no trouble finding the right size rain pants for you. 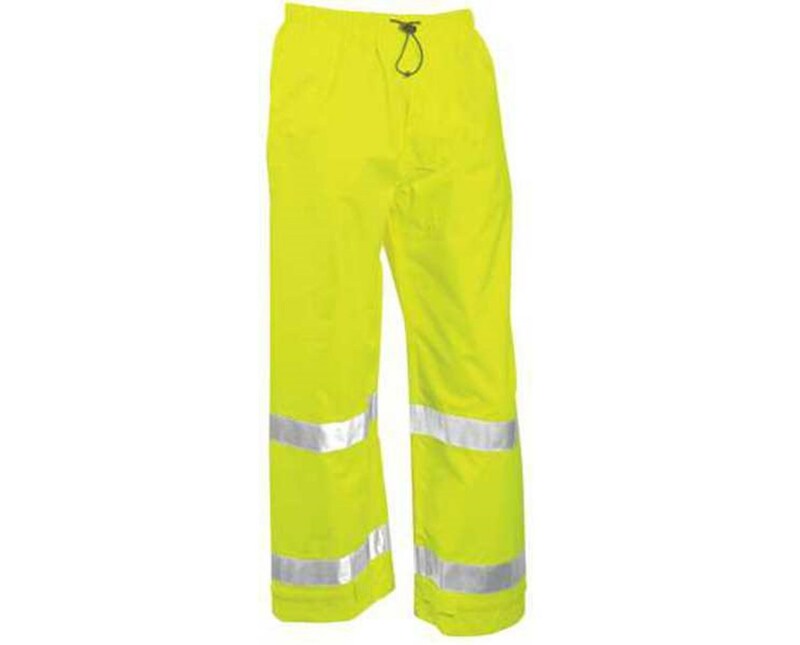 These high-vis waterproof pants are available in a range of sizes from small to 5XL. They are sized to fit over your clothing, with the small size having a 44” waist and 28” inseam, and the 5XL size having a 60” waist and 33” inseam. For information on how to measure to ensure you order the correct size, please click on the “Sizing Chart” icon above. These high visibility rain pants have an elasticated waist with a drawstring for an adjustable fit. There is a fly front with a center snap. All the hardware is non-conductive and non-corrosive. Hook and loop cinch straps at the ankles let you pull them tight to keep out water. There are 2 pass-through openings on the sides of the pants so you can reach your pants pockets underneath. The pass-through openings have a center snap to keep them closed when not in use. 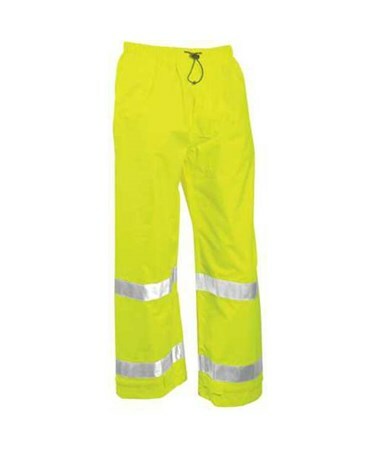 These Tingley Job Sight high visibility pants are excellent for use any time you want to stay dry and comfortable while maintaining safety visibility in wet weather.